Vapon No Tape Liquid Adhesive 1oz Vapon No Tape silicon-based adhesive provides a very strong bond for extended wear. NOT recommended for daily wear. 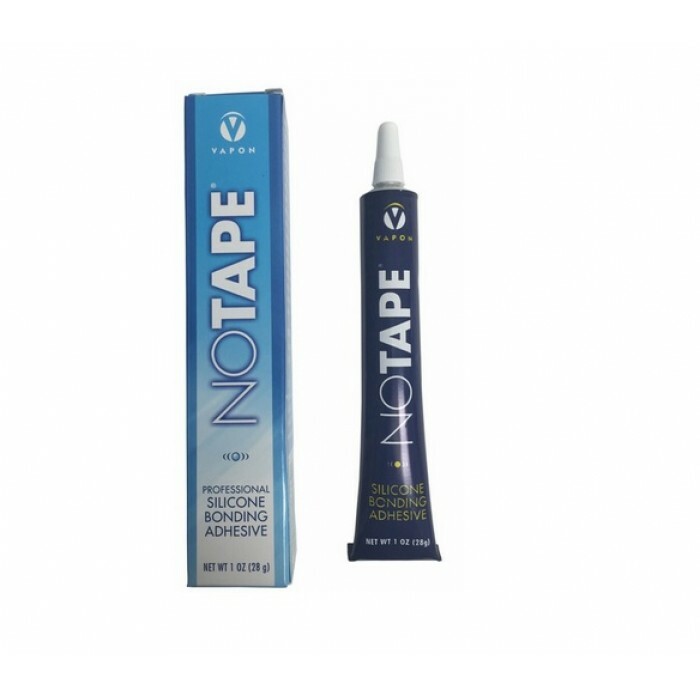 Great for use on both lace and polyurethane hair systems and comes in a 1/2oz compact squeeze tube with a tiny applicator tip. Warnings: Flammable. Keep away from heat, sparks and flames. Avoid contact with eyes. In case of contact, flush eyes immediately with water for 15 minutes. Vapor harmful, use only with proper ventilation. Do not use on abraded, infected or sensitive skin. Keep out of the reach of children. ***Tech Specs** * Vapon No Tape Avg. Hold Time 2-4 Weeks * Size (Fluid Ounces) 1 oz ***Directions** Apply to nonporous surface of hairpiece and to area where hairpiece will be attached. Allow to dry COMPLETELY before placing unit on head. Use in conjunction with Adjust-A-Bond for best results. Removal: Any solvent will do, but Topsoil is recommended. ***Ingredients** Ethyl Acetate, Tetra Silone, Xylem.